If you utilize submersible pumps in wells for dewatering, irrigation or oil processing, or for pumping waste water or other fluids in basins, ponds or industrial facilities, you can lower your facility’s’ costs by switching to products manufactured by none other than the industry’s leading self-priming pump manufacturer – Phantom Pumps. Submersible pumps from Phantom Pumps provide an affordable pump alternative for nearly any application location. Self-priming pumps don’t need to be re-primed after an initial prime, and all of our pumps are self-priming, which makes them perfect for underwater pumping applications. The risk of pump failure is also significantly reduced because foot valves, ejector pumps and vacuums do not need to be used with self-priming pumps. Phantom Pumps is renowned as the pump manufacturer that helps reduce operating costs in the fluid handling industry. 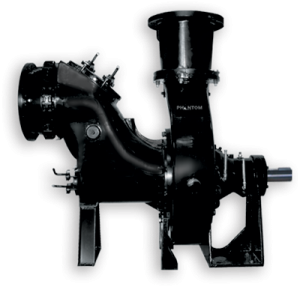 Although we have earned our identify for many reasons, the overriding reason is that the pumps and replacement parts in our product lines are compatible and interchangeable with most metering pumps, slurry pumps, irrigation pumps, submersible pumps and other centrifugal pumps from more expensive pump brands such as Durco, Gorman-Rupp and other renowned pump manufacturers. By substituting Phantom Pumps parts for genuine manufacturer brand parts during your in-house repair and maintenance services, you can cut your labor and maintenance expenses considerably. Like our pump equipment, our replacement parts are compatible and interchangeable with many leading brands. Our Pump Cross Reference Guide and application engineers are available to help you determine which Phantom Pumps part is best to use in a metering pump, submersible water pump or other fluid processing pump repair. Contact us today for more information on any of our submersible pumps or to learn more about what Phantom Pumps can do for you.